Now that the BIG question has been asked (and answered) it’s time to present yourselves to the world. Engagement photos are the perfect way to show friends and family what kind of team you and your mate are. It also provides you with memories that can be looked back on at anytime. Farrah’s Photography is here to help you in what might seem to be an endless sea of do’s and don’ts. First, decide what style of photos you’d like to have represent you and your soon-to-be. Finding inspiration on Pintrest or Google is a good starter, but thinking deeper into your relationship and deciding together is a great way to break out of the norm. Trendy, photojournalistic, or maybe a mixture of both, communicating with your photographer will help him or her plan out your session so that you can get the most out of your experience. Next, think about what you and your partner will wear. I know this is the part where I’m supposed to say “he wears a suit and tie and she’s in a flowy dress with three inch heals”, but I’m gonna save you from that by saying: wear what you’re comfortable in. These are YOUR engagement photos. That means you get to be you. Easy right? There are, however, a few things to keep in mind. Your photographer may ask you two to sit on the ground or maybe in a swing, so wear something that will be okay if it gets dirty, especially if doing an outside shoot. Try to avoid black, the universal go-to color. Black has a tendency to show every foreign object (lint, dirt, pet hair…for those with four-legged family members, etc.) stubbornly clinging to it. Wear colors that compliment each other, such as navy and coral. Accenting with pops of color can coordinate the outfits together without making them exactly the same. Distributing the color accents throughout the outfits will keep the focus of the picture on broad spectrum. Doing an outfit change can add variety to photos, but cuts into session time. Limit yourself to two, no more than three, outfits. *On a side note, keep in mind that wearing a short dress can limit the number of poses you’re able to do. If your heart is set on a dress, select one that will fall knee length or lower. Then, schedule your shoot. The best times for outside photos are dawn and dusk. Be sure you choose a photographer who will take time to get to know you and your preferred style. Being comfortable with your photographer helps your personality and love for each other to show in the photographs. The first look wedding photos are becoming more and more enticing, as couples long for romantic and intimate pictures to treasure for the rest of their lives. Many will choose not to do The First Look photos for superstitious or religious reasons, but let’s take a moment to discuss the importance of having this memory captured in a more intimate setting. Doing a first look picture before the ceremony will ensure good quality pictures without interference. The look that the bride and groom exchange seeing each other moments before they say ” I do ” is extremely emotional and, if captured during The First Look session, can truly be remarkable. Also, having two photographers will enable capturing the bride and the groom seeing each other at the same time. And it also prevents people from leaning in the aisle and blocking the view of the bride from her groom. Doing this session before walking down the aisle will help to settle those butterflies most couples get during the ceremony. These pictures can be taken in a more intimate setting where there will be no spectators to cause any sort of distractions. This ensures the newly wedded couple to have beautiful bride and groom pictures. Because the most important pictures are going to be the bride and groom, the First Look photos should be top priority. The reason this should be a top priority is because you want to look freshly pressed in your photos. One final benefit in doing The First Look session is that you will be able to quickly get to the reception and enjoy the festivities with your guests. This could potentially save money for you by skipping the cocktail hour if needed. In the end, you will be able to enjoy your reception and the meal that you have chosen with your guests, all the while knowing that your bride and groom pictures will look their best. 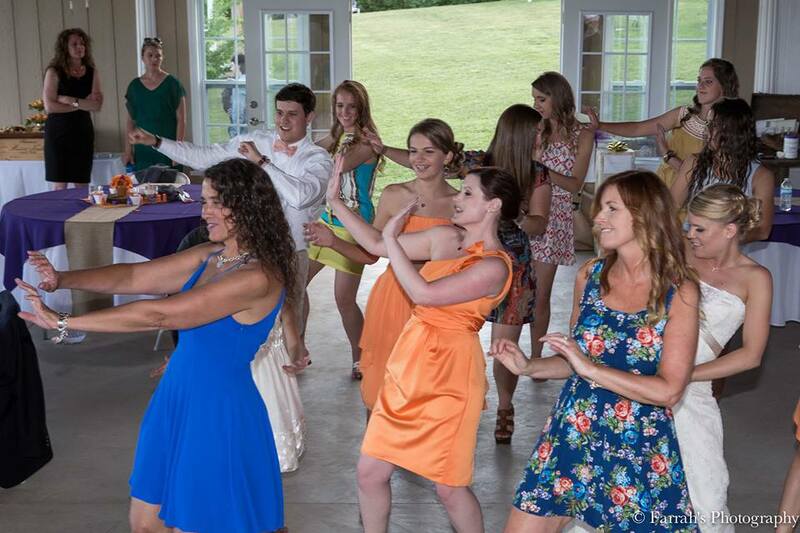 Less stress equals an enjoyable reception where you can let loose and have a little fun. For more first look picture ideas, visit the Farrah’s Photography Facebook page. 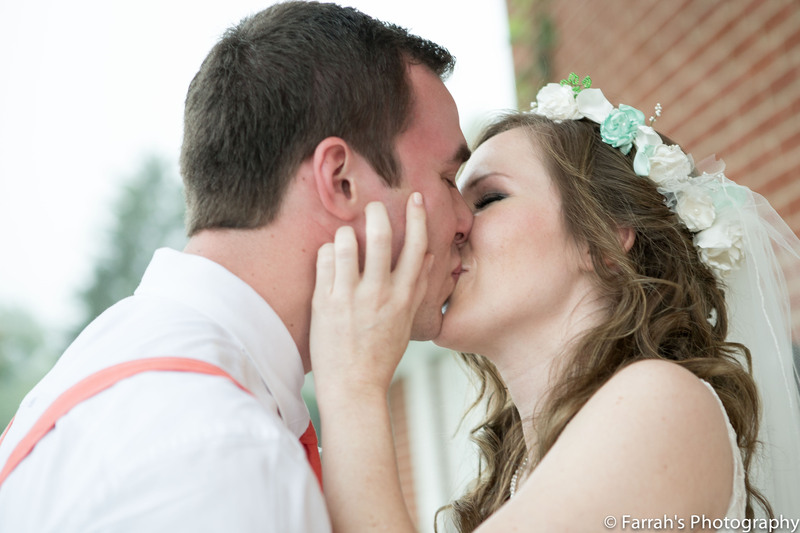 The pictures on this blog were taken by Farrah’s Photography and Event Services, at Colonial Estate, in Maryville TN. 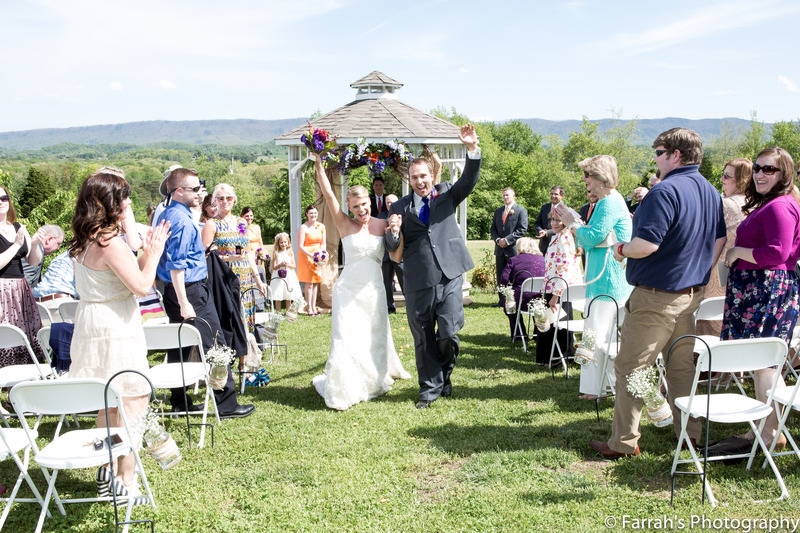 Farrah’s Photography enjoyed a beautiful Spring wedding at Colonial Estate last April. We had the pleasure of assisting Brooke and Dustin with their wedding planning. Brooke had the challenge of planning her Maryville, TN wedding at Colonial Estate, from her home in Virginia, so she relied on our recommendations to select her wedding vendors. Rev. Daniel Deck officiated the ceremony for Brooke and Dustin. Rev. Deck offers professional wedding services, including pre-marriage counseling and creating a ceremony experience that is unique to each couple. Simplicity Event Planners offered directing and design that matched the couple’s personality and style. Heather Lynn with Simplicity Event Planners is a detail-oriented decorator who creates magazine-worthy wedding designs. Lindsay Ruuggieri of Custom Love Gifts added that special touch to their wedding with burlap banners. All of the floral arrangements were created by Melissa Timm of Melissa Timm Designs. Melissa is a talented floral designer who exceeds her customers’ expectations. The bride and her brides maids looked and felt fabulous, thanks to Hair and Body Image. Hair and Body Image is a full service, mobile salon. 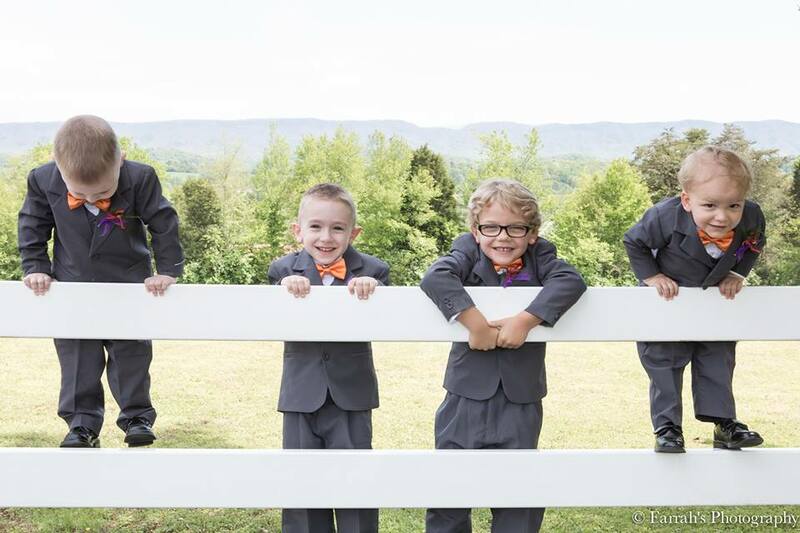 The groom and his guys sported tuxedos by Savvi Formalwear. With Savvi Formalwear’s variety of styles and colors, it’s easy to find exactly what a groom needs on his wedding day. The catering and refreshments were provided by Rosa’s Catering and The Pour Guys. 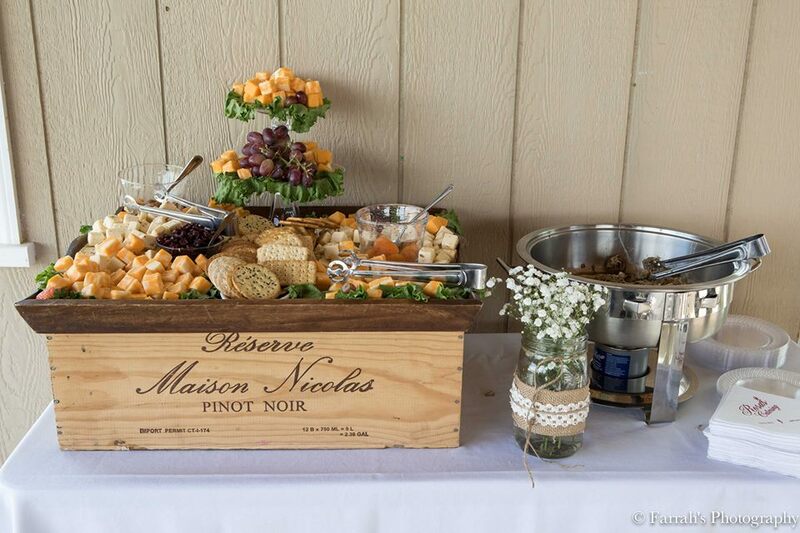 Rosa’s Catering provides an excellent menu selection for any event.The Pour Guys provided a friendly staff of bartenders to serve refreshments. And let’s not forget about the DJ! Andrew Holloway with Ogle Entertainment kept the party going for Brooke and Dustin’s wedding celebration. Ogle Entertainment knows how to keep the guests on the dance floor. Farrah’s Photography is privileged to work with the amazing wedding professionals who serve Blount County and truly set the standard for wedding services in Tennessee and beyond. 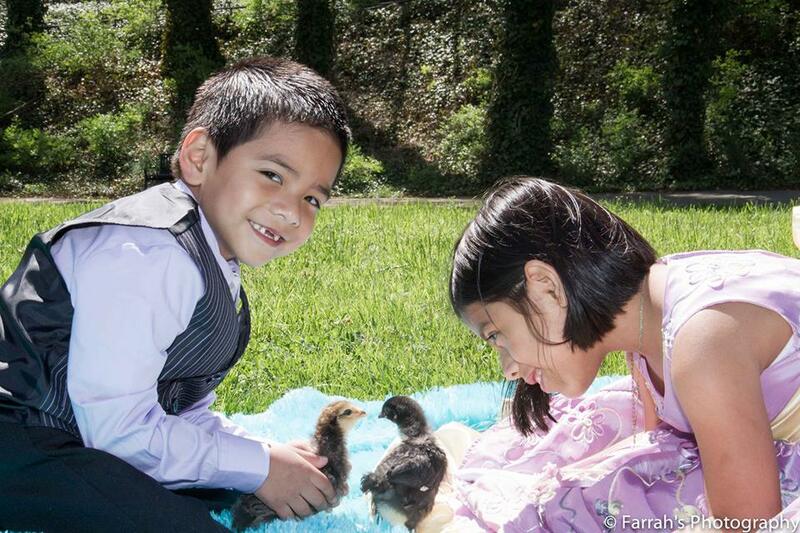 Easter is right around the corner, and the Farrah’s Photography team is enjoying capturing memories for some amazing families this season. We enjoy seeing everyone in their Easter best. We also would like to introduce our newest family member, Furby. Furby loves the outdoors and playing with children, not to mention he is absolutely adorable! 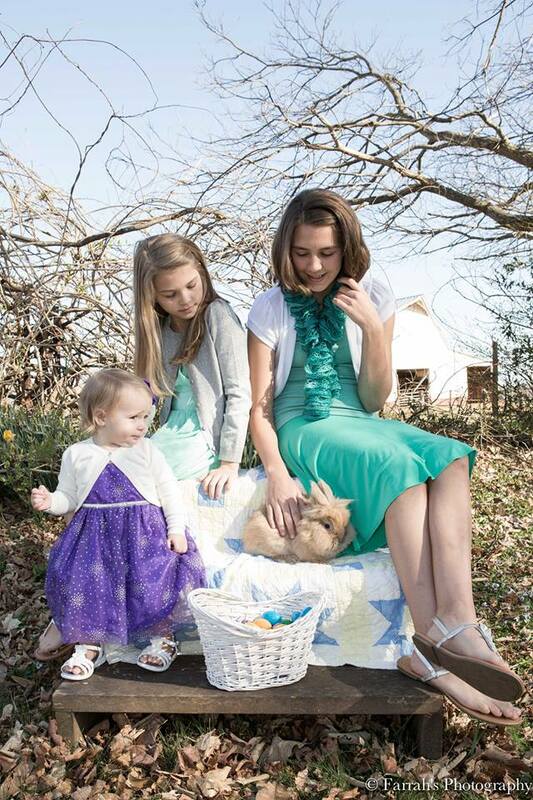 Our Easter mini sessions are held at Colonial Estate, in Maryville, Tn. Colonial Estate has magnificent views of mountain tops, rolling hills and rustic farmland, a desirable place for any photo session. Farrah’s Photography is gearing up for wedding season. For additional information be sure to contact us at 865-681-8484. We would love to capture your memories on your special day. 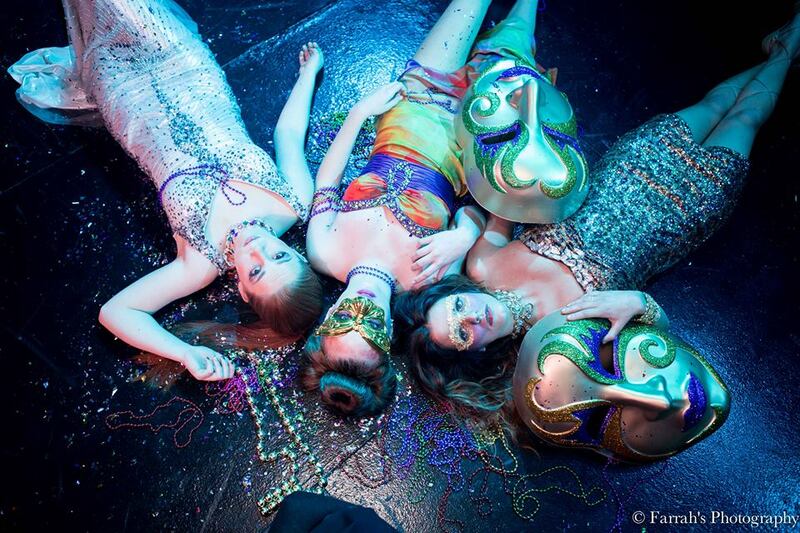 In March, Farrah’s Photography had the privilege of doing a Mardi Gras-inspired shoot at The Capitol Theatre in Maryville Tennessee. We enjoyed working with Southern Belle Beauty, who provided hair and makeup services, and The Gilded Gown, who provided the dresses for our models. The Capitol Theatre is a unique venue in the heart of Maryville. They offer an elegant setting for a variety of events. 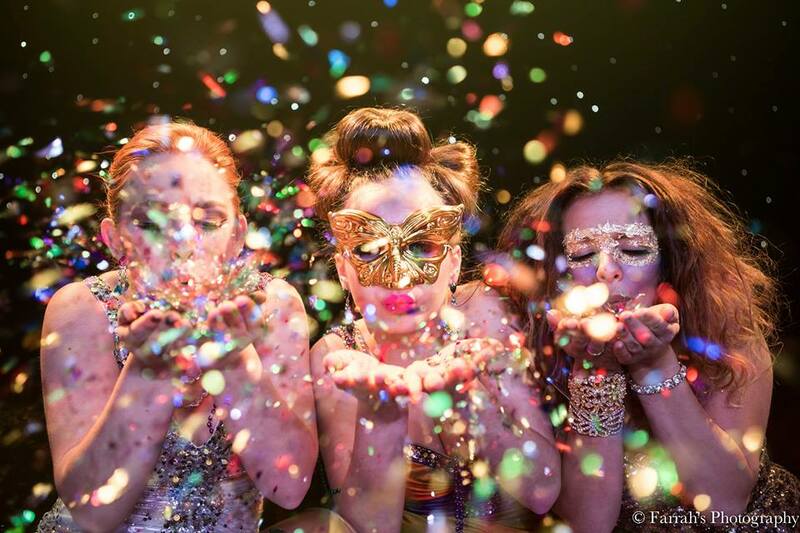 If glitz and glamor is what you have in mind, The Capitol Theatre is the place for you. The Gilded Gown offers a variety of dresses for prom, parties, cruises, weddings, and even pageants. Stop by the Knoxville Center Mall and explore their selection. Southern Belle Beauty has an experienced, mobile team of stylists and makeup artists for any occasion. Visit the Southern Belle Beauty web site for a list of services for weddings, prom, and more. 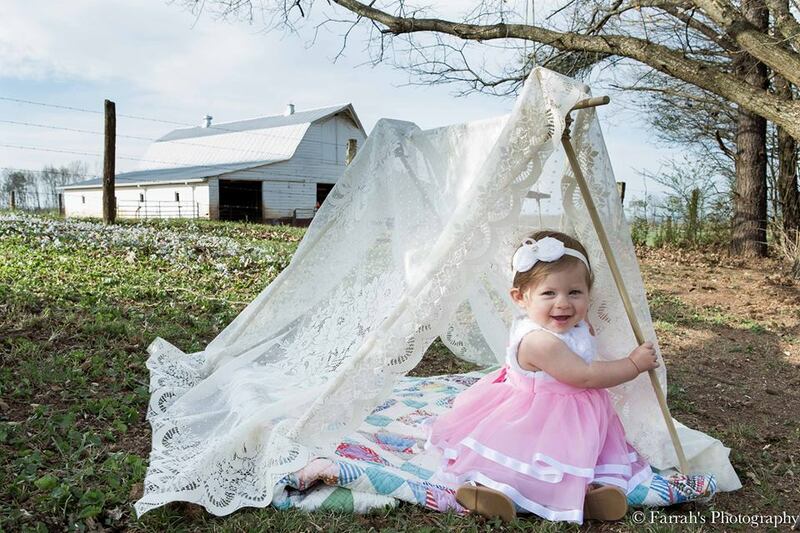 Visit the Farrah’s Photography web site for photography services throughout Tennessee. We offer photography packages for weddings, senior portraits, parties, pets, newborn, family, and children sessions. Destination packages are also available. Farrah’s Photography is excited to announce the opening of Foothills Bridal Connection in Maryville, Tn. 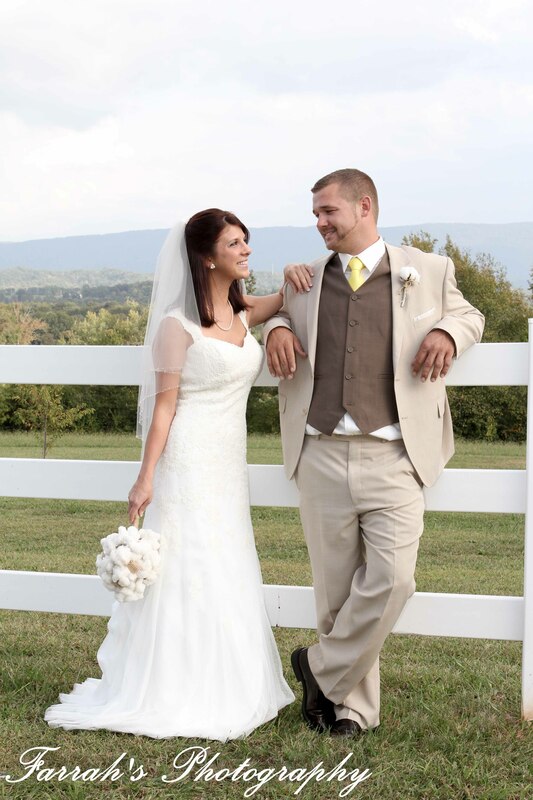 Foothills Bridal Connection is located in the Wiley Boring Center at 143 Cherokee Heights Dr. Off 411 Highway. They are open Monday thru Friday from 10am-6pm and Saturdays 10am-2pm. Foothills Bridal Connection is a one stop shop for brides to be. FBC offers complimentary on-site wedding planning. Their skilled wedding professionals will help brides pull their wedding together with ease. Foothills Bridal Connection is conveniently located behind the Bridal Gallery. The perfect place for you to shop for your wedding dress. The Bridal Gallery is family owned and operated. They offer great personal service and beautiful dresses to fit any budget. For the groom’s attire browse through our selection of Savvi Formalwear‘s color options and styles. Pick up a coupon for Savvi Formalwear and receive $40 off tux rentals. If you are looking for a rental company or wedding decor, it can be found here. 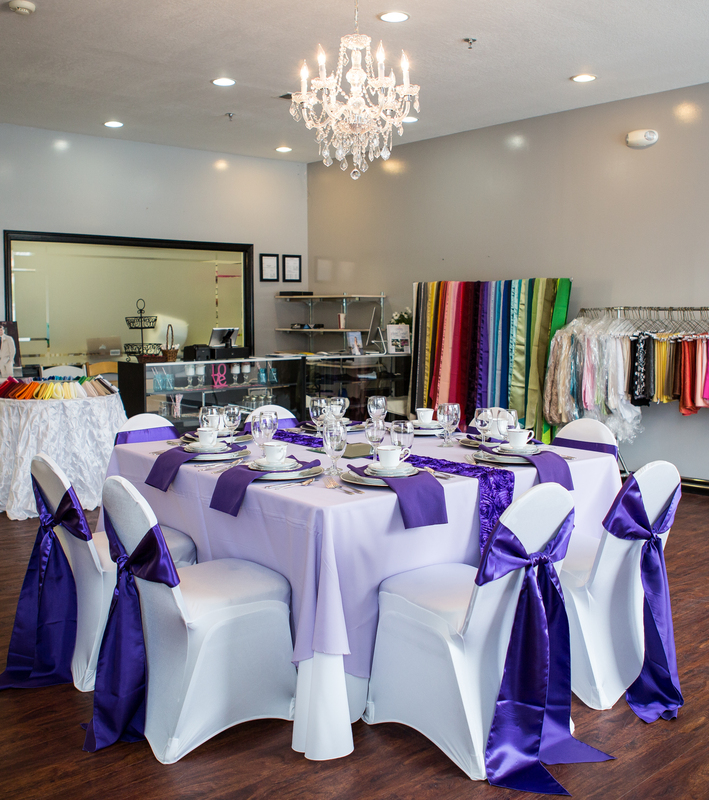 Everything from invitations to catering can be found at the Foothills Bridal Connection. 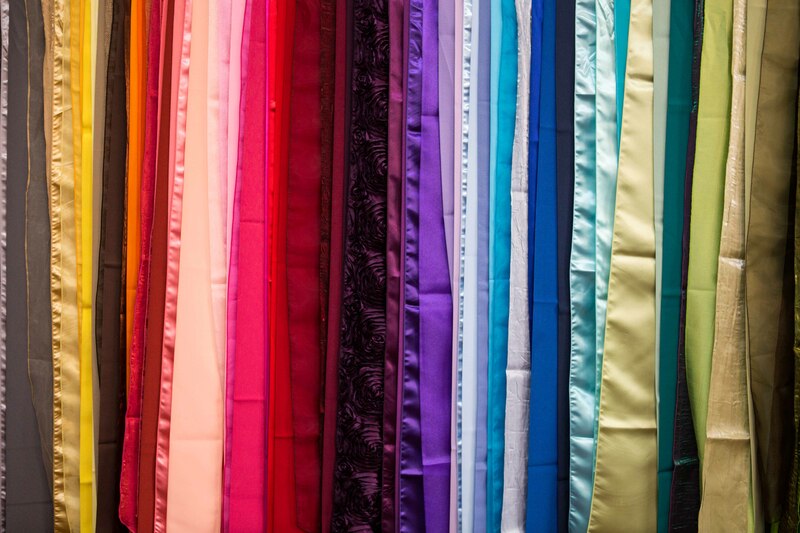 Trying to decide on your perfect wedding colors? There is an array of linens from Campbell Party Rental to help you decide. FBC has a practice table for you to experiment. Pick your colors and see what it will look like on your reception tables. Not only can you check out colors from Campbell, but you can place your order right here. If you’re looking for the right flowers and decor, Melissa Timm Designs has floral arrangements for you to check out. And if you would like to have something unique and personal for your invitations, Illustration Girl can customize your invitations and save the date cards. She also offers favor gifts to thank your guest for being apart of your special day. Take a look at menu options by Rosa’s Catering, one of Knoxville’s premier caterers since 1971. 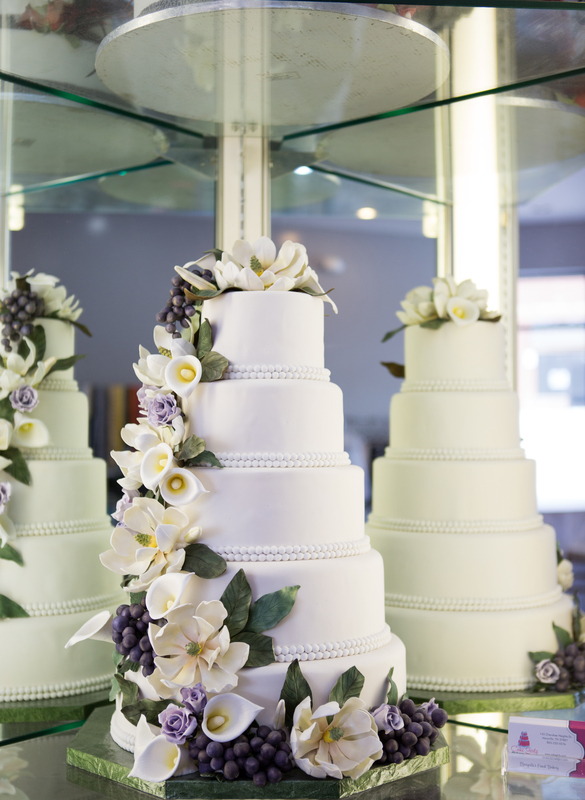 Rosa’s also offers custom wedding cakes and bartending services, along with their catered events. If you are looking for a talented cake decorator, Cake Girlz offers custom cakes that not only look stunning, but you can also count on them to be fresh and moist. FBC offers free samples for brides. Foothills Bridal Connection also has Custom Love Gifts. 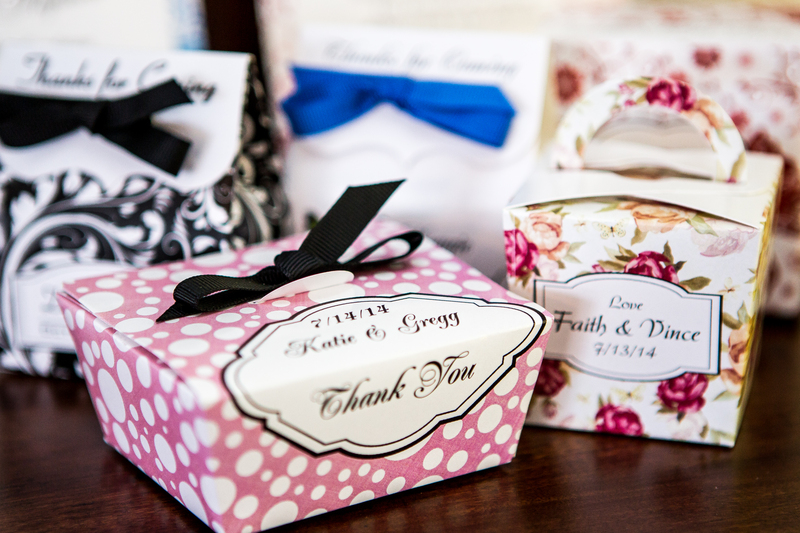 Meet with Lindsay to discuss your wedding favors. Her specialty favor jars are a must have at your wedding, adding that special touch you are looking for on your special day. There is so much to offer for brides to be at Foothills Bridal Connection. For more info, check out the website at http://www.foothillsbridal.com. You can also call 865-724-1218. Even better, stop in and meet with the wedding professionals and have a cupcake. We look forward to meeting you! Spring is definitely in the air! Flower buds are beginning to open, the days are getting longer, and the landscapes are beginning to be filled with vivid colors. 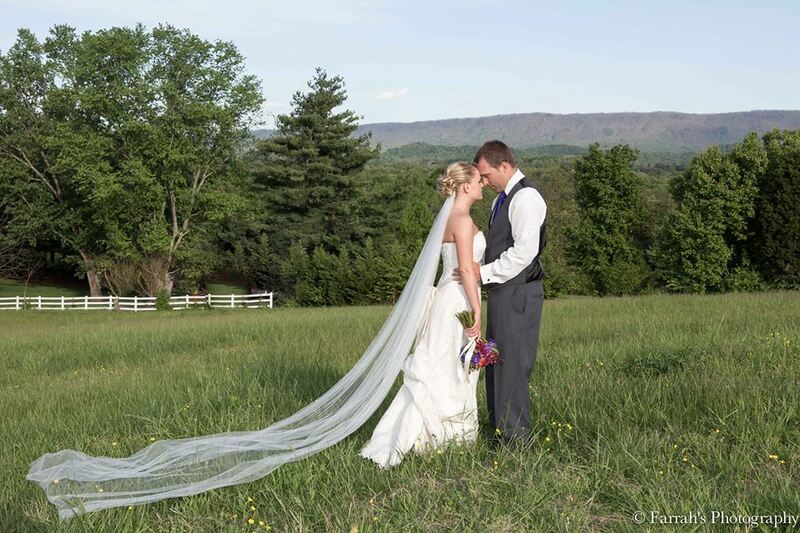 One of the advantages of living in Tennessee is the picturesque mountain backdrop that can be used in wedding photos. Couples who are dreaming of an outdoor wedding with a panoramic view are invited to the Colonial Estate Open House on April 28th from 3:00 p.m. until 6:00 p.m. The open house is sponsored by the Blount County Wedding Professionals Association and will display services from the area’s leading wedding professionals, such as First Fruits Catering, Farrah’s Photography, Calhouns, The Pour Guys, The Flower Shop, KimZ Entertainment, New York Style Entertainment, and many more. Visit http://www.colonialestate.net for directions and information. See you there!